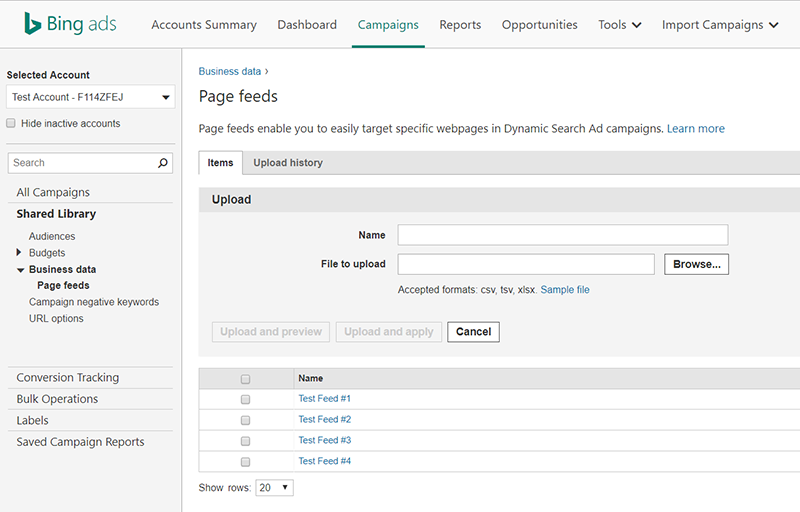 Bing Ads is rolling out page feeds for Dynamic Search Ads (DSA) to all DSA customers over the next few weeks. Page feeds help save you time managing DSA campaigns by removing the need to create targets for each of your website URLs, or groups of URLs. Instead of creating targets you can simply upload a list, or “feed” of URLs. By leveraging a feed in your DSA campaign, it’s easy to improve your campaign’s overall website coverage as well as indicate to Bing which URLs are of particular value to you. How do I work with page feeds? Page feeds view on Bing Ads Campaigns tab. Detail of page feed example. 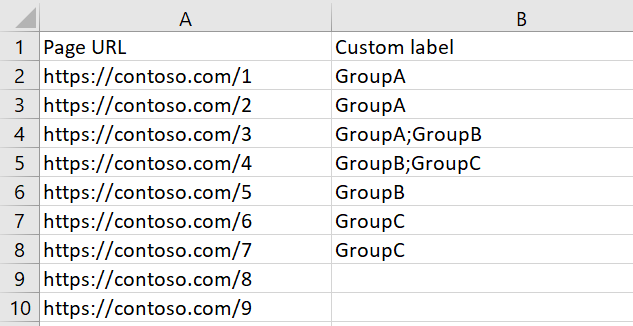 If you want to group certain URLs, or assign a label to an individual URL, simply specify the labels in the Custom label column. Once your feed has been associated to your DSA campaign, you can then target specific labels via auto targets. Targeting source detail on Settings tab. You can choose between targeting only URLs in your page feed, or targeting URLs in your page feed plus other auto targets you might have. After clicking Save, your DSA campaign is now up and running with page feeds. Please note that in some cases it may take up to a few days for Bing to crawl the new URLs. Detail view of custom label creation for dynamic ad targets. Newly created custom label target. Detail view of Dynamic Search Ads search terms report example. In addition to setting up page feeds in your Shared Library, you can import page feeds and page feed campaign associations from Google Ads. Bing Ads Editor also supports the creation of custom label dynamic ad targets. Check out our Dynamic Search Ads and page feeds help pages for additional tips and tricks to get the most out of your DSA campaigns on the Bing Network. For questions or feedback regarding Dynamic Search Ads, we encourage you to reach out to your Bing Ads account manager, or directly to us at bingads-feedback@microsoft.com.